New construction in Westbrook at Savannah Quarters! Live the life you deserve behind the gates in one of Savannah's most desirable communities. This beautiful floor plan by Seville Communities LLC. is low country living at its best. Front entrance into formal den and dining rooms, open concept floor plan with great room and gourmet kitchen. Master suite on main with enlarged shower and soaking tub, and more than ample closet space. Each guest room boasts its own bath, bonus up also with its own bath. 3 car garage. 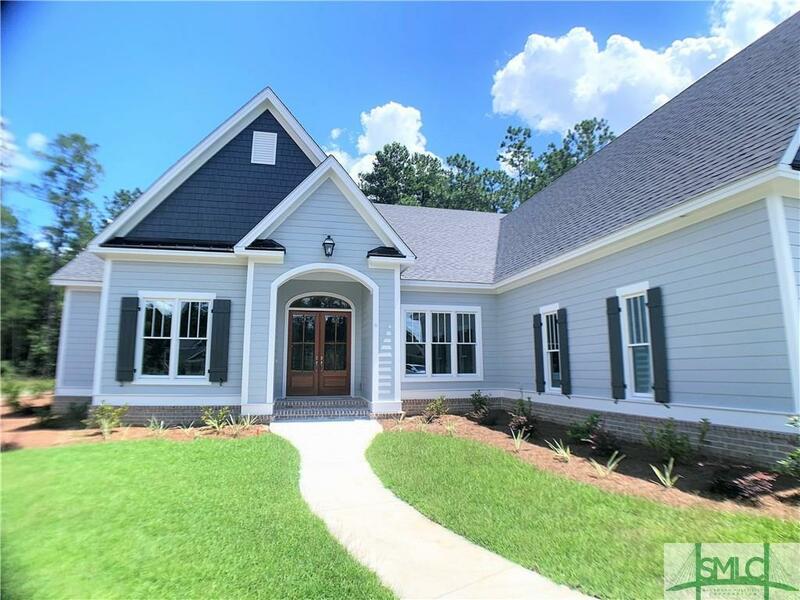 Home owners in Westbrook at Savannah Quarters have the privilege of membership at Savannah Quarters Country Club with award winning dining, state of the art fitness facilities and tennis, adult and family community pools, and Greg Norman Signature Golf Course (with golf membership). Minutes from the I-16/I-95 corridors, Gulfstream, and the Savannah Hilton Head International Airport. 15 minutes from Historic District and 20 minutes to the beaches. Your resort life home awaits. Builder Name: Seville Communities Llc.